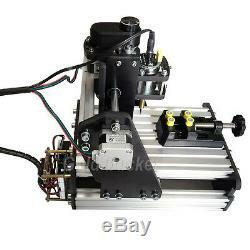 Mini 3 Axis Desktop CNC Router Kit Wood PCB Milling Carving Engraving Machine. 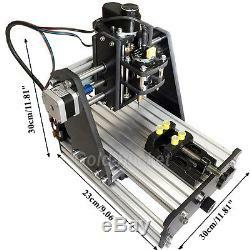 3 Axis Desktop CNC Router. 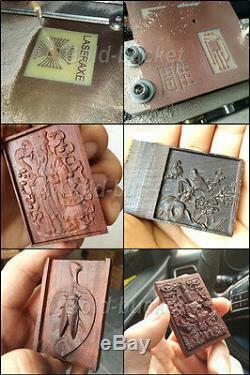 Wood PCB Milling Carving Engraving Machine. Do you always dream of having a CNC router not that large as the industrial type but just one can placed on the normal desktop to do the some little creative carvings. While you can own the one you want at here. 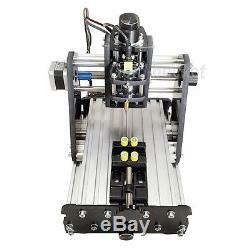 Type:3 axis CNC milling machine. Spindle Motor Type: 555 motor. Stroke:15X10X5cm/5.91X3.94X1.97inch(LWH). Machine Size(Aseembled):30X23X30cm/11.81X9.06X11.81inch(LWH). 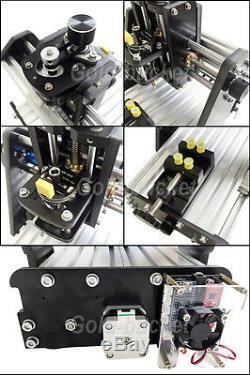 1Ultra mini 3 axis desktop CNC milling machine. 2Equipped with high quality bakelite frame, T8 lead screw and 555 spindle motor, high accuacy and power enough to do wood carving work. 3Equipped with three 42 type stepper motor with A4988 driver, providing the enough power and high precise for daily use. 430X23X30cm ultra compact size with 15X10X5cm stroke, you can use it to do the small engraving or milling works such as PCB design or wood carvings. 5Compatible with 3.175mm shank CNC drill bits. 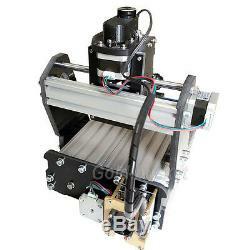 6Each stepper motor equipped with the handwheel easier to move the three axis position manually. 7USB port connecting design with Grbl Controller (for CNC milling) and CNCC(for laser engraving) software and fool-style operation, compatible with all Windows system(windows XP/7/8/10), easy to use. 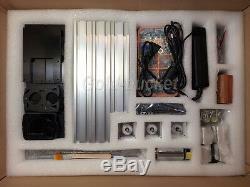 1X Mini CNC Milling Machine Kit. 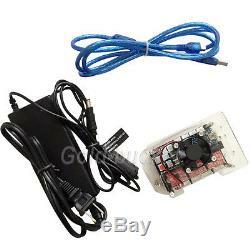 1 This is a assemble kit, it need you to finish the assembling process. 2 It can only engrave on the PCB, Acrylic , wood, can not engrave on metal material. Provide it when you order. Remote is defined as islands and highlands; or a post code/zip code that is difficult to serve; or a suburb/town that is distant, inaccessible or infrequently served. 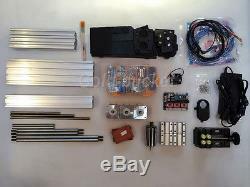 1 X Mini CNC Milling Machine Kit. 1 X Mini Table Clamp. 1 X CNC Router Bit. 1 X Testing Wood Plate. 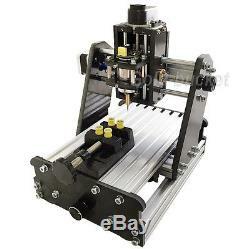 The item "Mini 3 Axis Desktop CNC Router Kit Wood PCB Milling Carving Engraving Machine" is in sale since Wednesday, March 1, 2017. This item is in the category "Business & Industrial\CNC, Metalworking & Manufacturing\Woodworking Tools & Supplies\Equipment & Machinery\Routers".